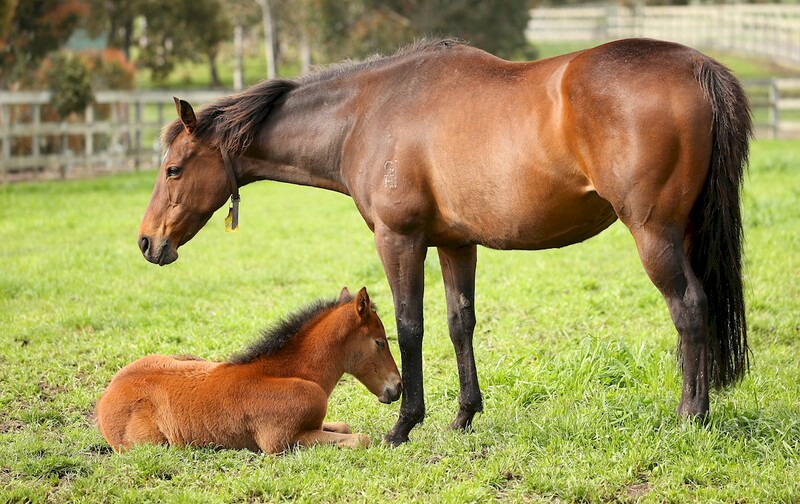 Placenta collection scheme will support breeders and state associations (Racing Photos). Although we are all still in the middle of a busy sales season, breeders know that the breeding season will be beginning very quickly after. With many mares foaling down around the country, last year some breeders took advantage of a placenta collection and purchasing service that was provided across the country. Facilitated by the Japanese company ‘Nomura’, who is accredited with strict Australian export laws, they initially contacted Cressfield Stud through Wayne Bedggood. After an initial test run, where they collected and froze six mare placentas, the company was able to develop an efficient collection, processing and export procedure. Payment for each placenta will be $10 plus GST to the stud farm, with $1 going to the state’s breeding association. Having collected over 2000 placentas last season alone in NSW, a donation of $2000 was made to the Hunter Valley Breeders Association. Now as business demand is increasing, the company would like to look at extending the offer to all Victorian based breeders in order to increase the number of placentas collected. The current target for the 2019 breeding season is around 3000, Australia wide, and we hope Victorian studs will be able to make up the shortfall. The funds collected can be used towards a staff bonus, dinner or BBQ, and it is also a great way to support Thoroughbred Breeders Victoria, and their future industry events. Nomura will supply a chest freezer for use during the season to store the collected placentas in and will arrange collection at regular intervals during the season. Any packaging, labelling will also be provided so the studs will not incur any costs or expenses. The process is easy to adopt and factor into regular farm procedures and aids in equine biosecurity and welfare. Paperwork is minimal, with only a couple of declarations to be signed at the start of the season, and the generation of an invoice at the completion of the season, when payment is made. This process is far easier than having to bury the unwanted placenta following each foaling, and after a quick wash to remove straw or grass they are bagged, labelled and simply popped in the freezer. Nomura is keen to get many studs and farms involved as every placenta counts. So even small breeders with small numbers of mares being foaled down, can be a part of this opportunity. The more farms being collected, it will aid in helping the transport run frequently and consistently and contributes importantly to the overall total.